A South Korean court has ruled that technology giants Apple and Samsung Electronics infringed each other's patents. The Seoul Central District Court ordered a partial ban of their products covered by the ruling in South Korea, according to US reports. Recently released products including Apple's iPhone 4S and Samsung's Galaxy S3 are not affected. This means Apple must stop selling the iPhone 3GS, iPhone 4, iPad 1 and iPad 2 because the court ruled that the products infringed two of Samsung's five disputed patents. The South Korean court denied Apple's claim that Samsung had illegally copied its design. The court found the shape and big display screen existed in products before the iPhone and iPad. But the court ruled that South Korea-based Samsung had infringed on one of Apple's patents, related to the screen's bounce-back feature, which causes the screen to bounce back when a user scrolls to an end image. 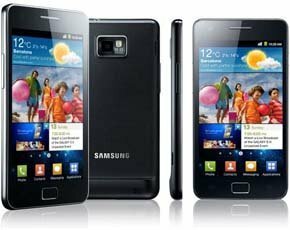 The court banned sales of products using the technology, including the Galaxy S2, in South Korea. The South Korean ruling comes as a jury in San Jose, California, is deliberating in a patent dispute trial between the two technology companies in the US. Earlier this week, lawyers delivered closing arguments in the first US jury trial in the patent dispute between Samsung and Apple. Apple lawyers accused Samsung of copying Apple iPhone designs after realising it could not compete, while Samsung lawyers argued that victory for Apple would mean less choice for consumers. Jurors in the US Apple-Samsung case are expected to deliberate for another week as they try to decide whether any of 21 different Samsung tablets and smartphones infringed any of Apple's 10 different patents on functionality and whether the look and feel of Apple's products merits protection. 1. Most people opt for the latest phones and tablets. 2. The price difference between the old and the new is not that much. For example, if an iPad 1 is $399, iPad 2 is $449, iPad 3 is $499. Which will people buy? Without the ban, iPad 1 and 2 are not selling anyway. If the court wants their ruling to be effective, I think the ban should include recalls. People who bought the banned electronics must return them and get their money back. You are right, is meaningless as is meaningless dispute between Apple and Samsung. Both are greedy bastards and the customer will be the one who is hurts (his valet and free choice).